This updated second edition of Acute Ischemic Stroke: Imaging and Intervention provides a comprehensive account of the state of the art in the diagnosis and treatment of acute ischemic stroke. The basic format of the first edition has been retained, with sections on fundamentals such as pathophysiology and causes, imaging techniques and interventions. However, each chapter has been revised to reflect the important recent progress in advanced neuroimaging and the use of interventional tools. 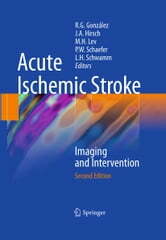 In addition, a new chapter is included on the classification instruments for ischemic stroke and their use in predicting outcomes and therapeutic triage. All of the authors are internationally recognized experts and members of the interdisciplinary stroke team at the Massachusetts General Hospital and Harvard Medical School. The text is supported by numerous informative illustrations, and ease of reference is ensured through the inclusion of suitable tables. 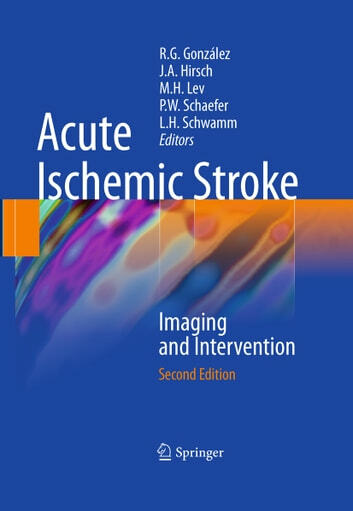 This book will serve as a unique source of up-to-date information for neurologists, emergency physicians, radiologists and other health care providers who care for the patient with acute ischemic stroke.